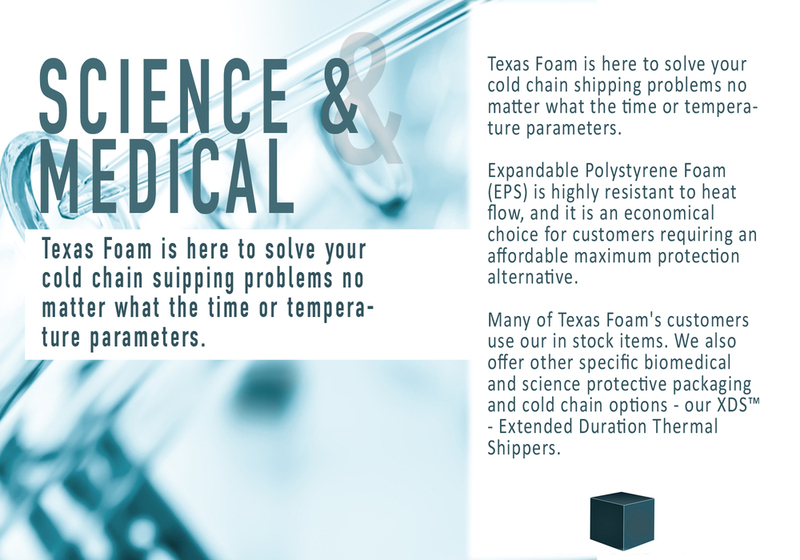 Since 1991, Texas Foam has been an industry leader in protective polystyrene foam packaging. We manufacture polystyrene products that exceed our customers requirements for quality and value. We help companies in various industries from science and medical to food and beverage get their products safely to their destination, while keeping them at the temperature needed. In fact, our extended duration shipping products are designed and tested to exceed rigorous cold supply management specifications. We even offer custom polystyrene packaging for unique situations. Our state of the art facilities are located in the United States, resulting in enhanced production capabilities. We'd love to help you find the right product to fit your needs, so please call us at (512) 581-7500 or request a quote and one of our polystyrene experts will get back you quickly. Thank you for considering Texas Foam, We look forward to working with you! Texas Foam is a proud member of the EPS Industry Alliance.